Minerals are the foundation or building blocks for all life on earth. The Iron molecule, for example, lives at the centre of the red blood cell that captures and transports oxygen in mammals' systems. Similarly, Magnesium fulfills this role in the chlorophyll of plants. The minerals I chose to portray are the main macro and micronutrients that sustain healthy plant life. When we ingest these minerals, they take up key roles in all the integrated systems in our bodies. Upon our death, they are returned. I called this wall piece "She Provides", showing minerals as gifts from the Earth. 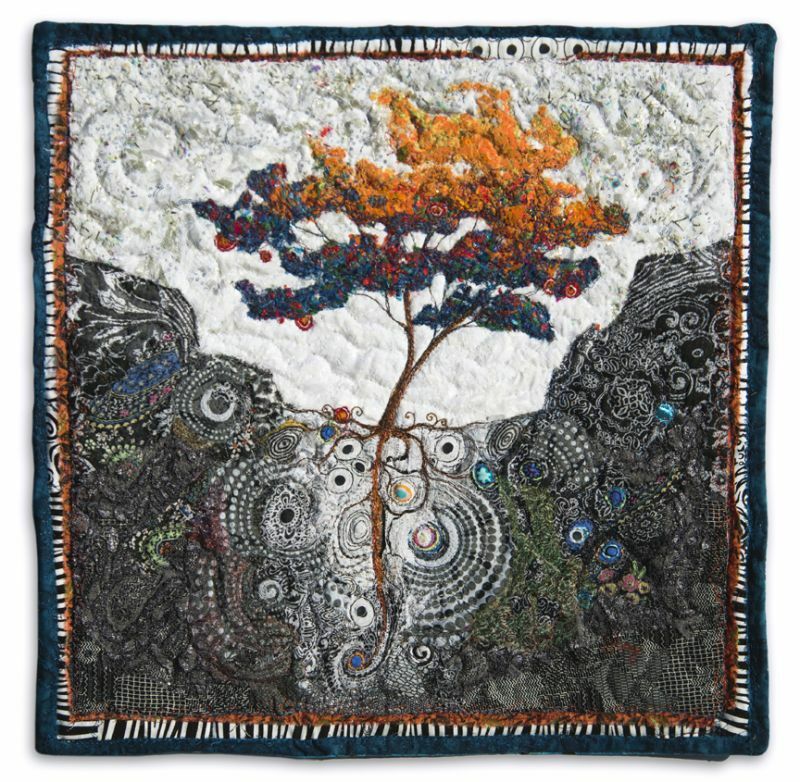 I was invited to create a small wall hanging for the quilt exhibition "MINERALS" to for the PDAC (Prospectors and Developers Association of Canada) conference at the Metro Convention Centre, Toronto, March 2013.